Once, Rich and Sandy were environmental activists, part of a world-famous blockade in Tasmania to save the wilderness. Now, twenty-five years later, they have both settled into the uncomfortable compromises of middle age - although they've gone about it in very different ways. About the only thing they have in common these days is their fifteen-year-old daughter, Sophie. When the perennially restless Rich decides to take Sophie, whom he hardly knows, on a trek into the Tasmanian wilderness, his overconfidence and her growing disillusion with him set off a chain of events that no one could have predicted. Instead of respect, Rich finds antagonism in his relationship with Sophie; and in the vast landscape he once felt an affinity with, he encounters nothing but disorientation and fear. Ultimately, all three characters will learn that if they are to survive, each must traverse not only the secret territories that lie between them but also those within themselves. 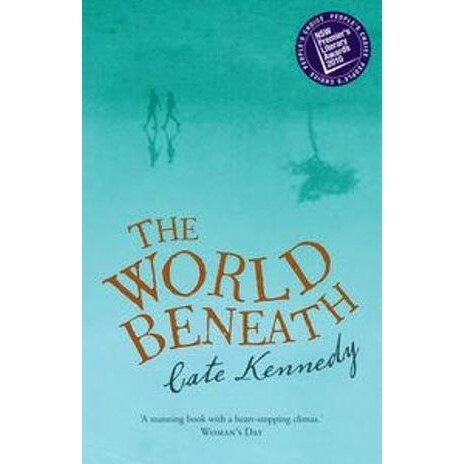 Cate Kennedy is the author of the highly acclaimed novel The World Beneath , which won the People's Choice Award in the NSW Premier's Literary Awards in 2010. It was also shortlisted for The Age fiction prize 2010 and the ASA Barbara Jefferis Award 2010, among others. She is an award-winning short-story writer whose work has been published widely. Her collection, Dark Roots, was shortlisted for the Steele Rudd Award in the Queensland Premier's Literary Awards and for the Australian Literature Society Gold Medal. Cate is also the author of the travel memoir Sing , and Don't Cry, and the poetry collections Joyflight and Signs of Other Fires. Her latest book is The Taste of River Water- New and Selected Poems by Cate Kennedy, which was published in May 2011 and won the Victorian Premier's Literary Awards CJ Dennis Prize for Poetry.